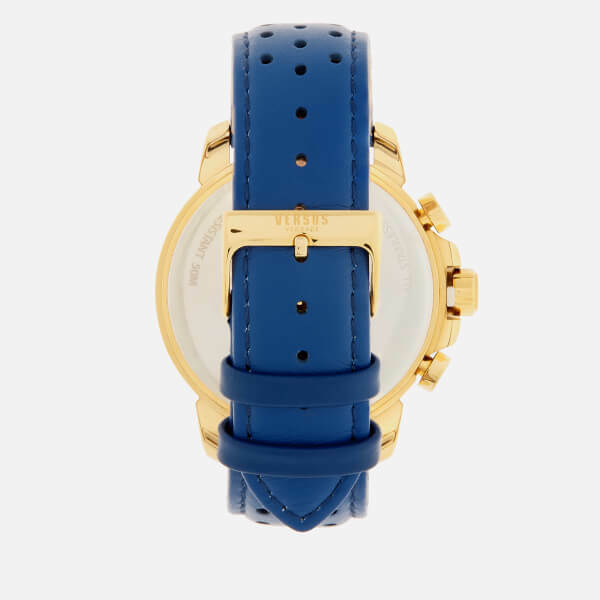 Sports-inspired watch from Versace’s diffusion line, Versus Versace. 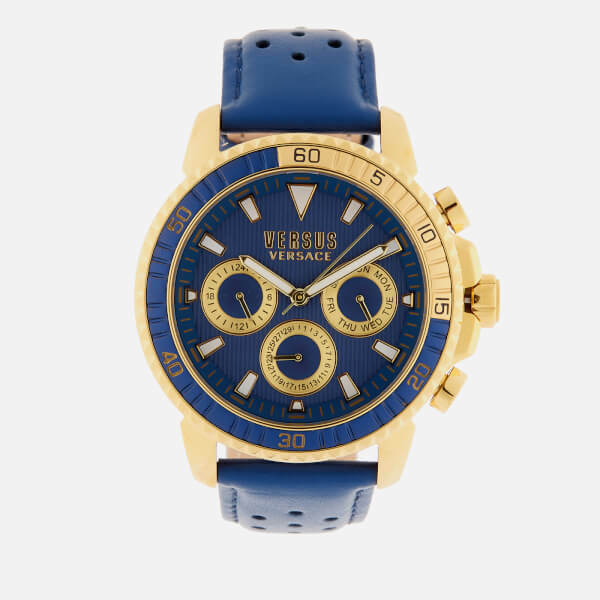 The men’s ‘Aberdeen’ watch has a round gold-plated stainless-steel case with a striped blue face and a multifunction movement that displays day, date and hour indicators. 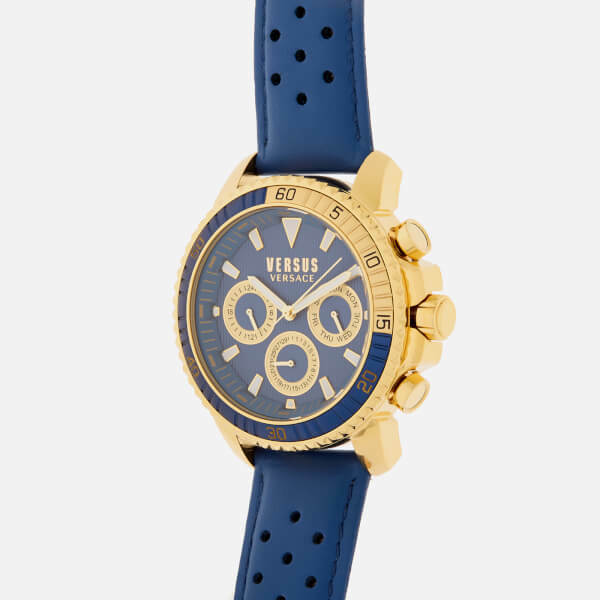 Surrounded by a ridged bezel with minute markers, the watch is detailed with a blue leather strap with perforated details, an adjustable buckle and leather keepers. 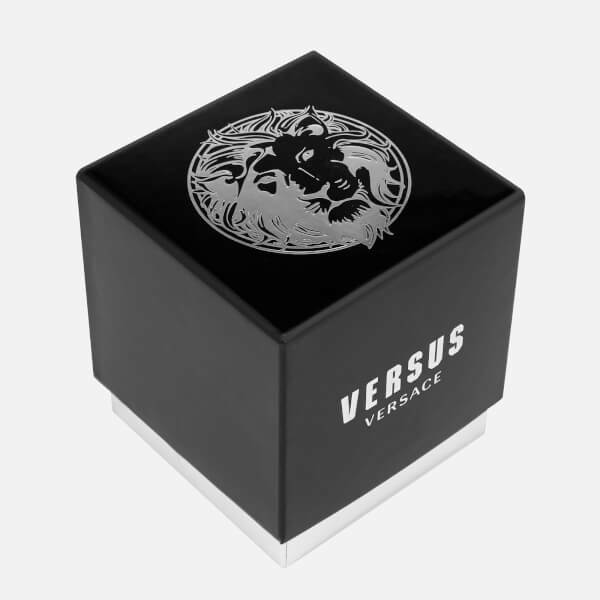 Water-resistant to 50m, the watch is finished with Versus Versace branding on the face and packaged in a branded gift box. Case: Gold Plated Stainless Steel. Strap: Leather. Case Diameter: 45mm. Height: 11mm. Strap Width: 20mm.